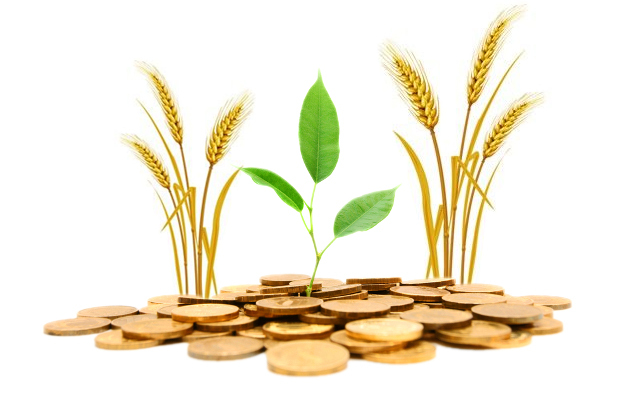 Out of total annual allocation of Loan portfolio, 60% is earmarked for Crop financing. The Credit program covers all the seasonal crops produced in the country. The loan is disbursed as per norms set by the Bangladesh Bank. The rate of interest for this sector is 10%. The rate of interest may however, vary from time to time. Both the landowner and share croppers are normally the target group for this loan. Marginal farmers are also eligible for the loan. Crop loan is sanctioned on annual basis. Credit passbook is issued to each borrower. This loan is given mainly in coastal areas for developed technology based shrimp culture. Live stock sector plays an important role in the development of agriculture. BKB provides loan for Bullock, Milch Cow, Goatery, Beef fattening and other draft animals. It is basically Medium Term Loan. With a view to creating self employment for the poor and un-employed people of the country the bank has introduced a new program titled "Beef Fattening". Create self-employment opportunity for poor and un-employed people. Meet national deficit of animal protein. Bring positive change in the attitude of the people through training. Ensure participation of bank officials in the program and increase their sense of duty and consciousness. The bank officials giving guarantee are responsible for recovery of loan. The bank is providing continuous loan for different types of activities as cash credit/working capital loan on short term basis. Continuous loan is given for processing, preservation and marketing of agricultural products. With the Changing scenario the traditional agricultural system is being replaced by mechanized one. In order to meet up the changing demand of this sector, BKB offers credit facilities both for production and marketing of different agricultural equipment and farm machinery including irrigation equipment. All sorts of irrigation equipments like LLP, HPTW, STW, DTW are eligible under the sector. As an agricultural country different types of crops and fruits are produced here. Moreover recently sectors like poultry, dairy, fisheries have flourished enormously. There is enough scope for export of these items through processing mechanism and value addition. The agro based industries are – Poultry farm, Dairy farm, Food processing plant, Fish freezing/Processing Industries etc. Reputed local businessmen and prospective foreign investors are highly acceptable and encourage to the bank for establishment of any sorts of agro-processing industries in Bangladesh. Project under joint venture as well as direct foreign investors are specially taken care of. Bio-pesticide, neem based pesticide production. Bangladesh Krishi Bank has introduced the SME policy strategies and financing norms in accordance with the industrial policy and Bangladesh Bank's Prudential Regulation to assist in the achievement of Millennium Development Goals (MDGs) set by the government. BKB started SME financing since October, 2007. EMI (equal monthly instalment) maximum for 5(five) years and working capital for 1(one) year.